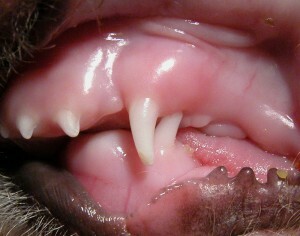 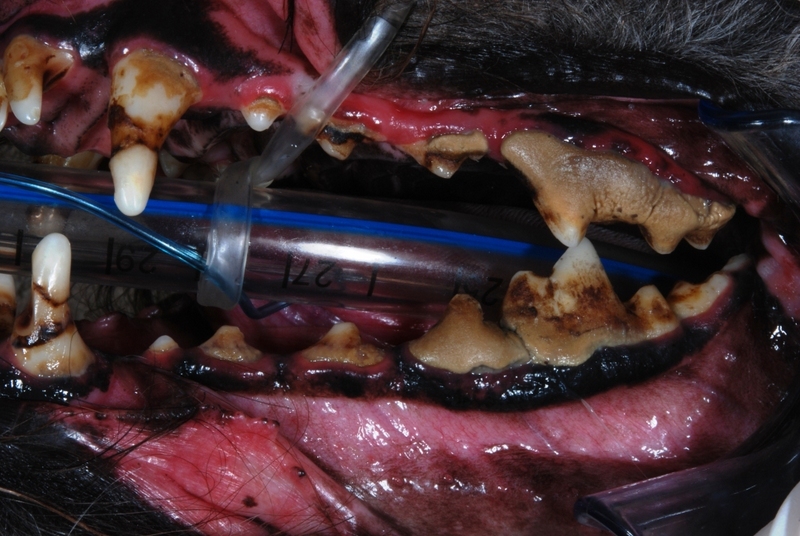 Dental problems occur frequently in juvenile pets. 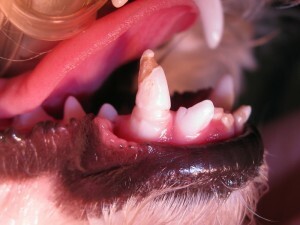 Many problems can be corrected if addressed early enough. 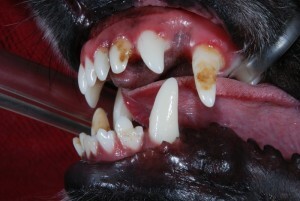 The most frequent we see are traumatic malocclusions and anomalies of tooth eruption. 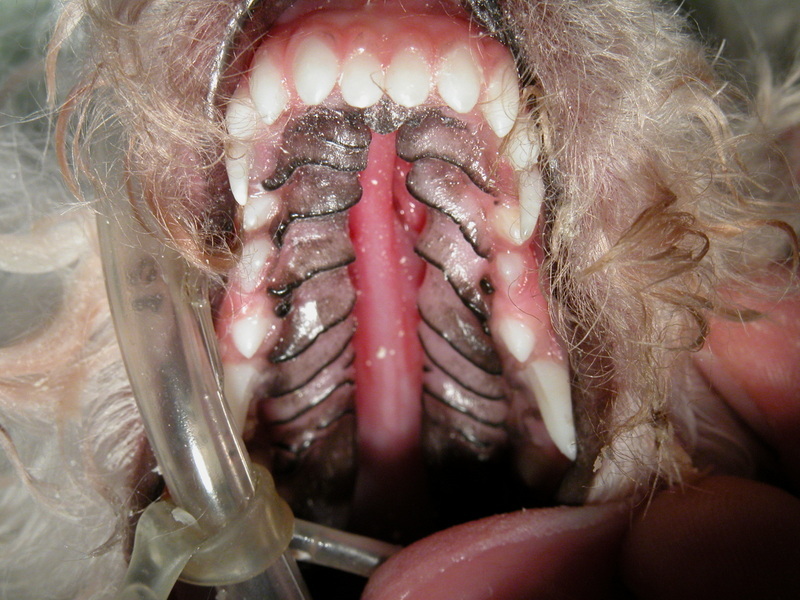 Intraoral radiographs (x-rays) are essential in the treatment of many of these conditions. 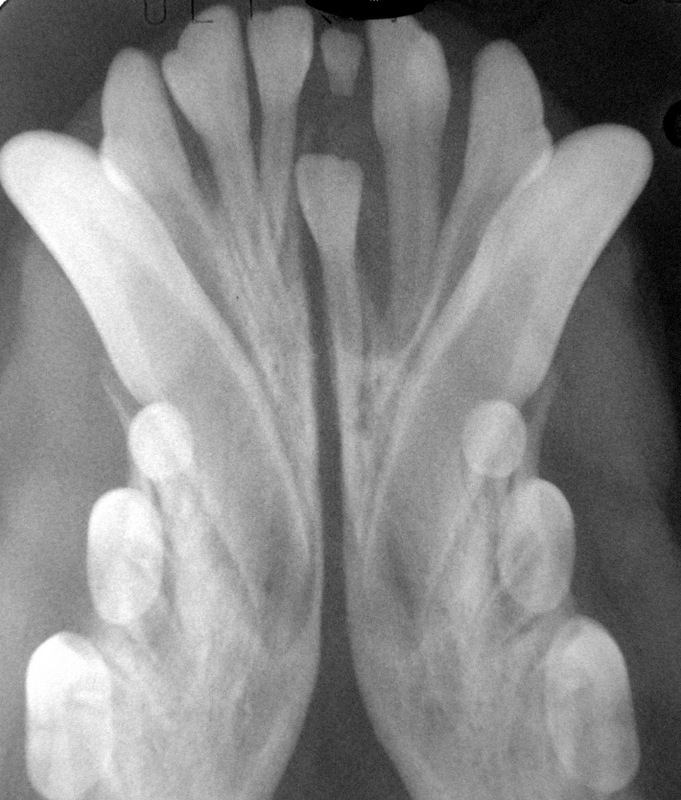 It is very important that regular oral exams be scheduled until all of the teeth have fully erupted in order to intercept problems before they become severe. 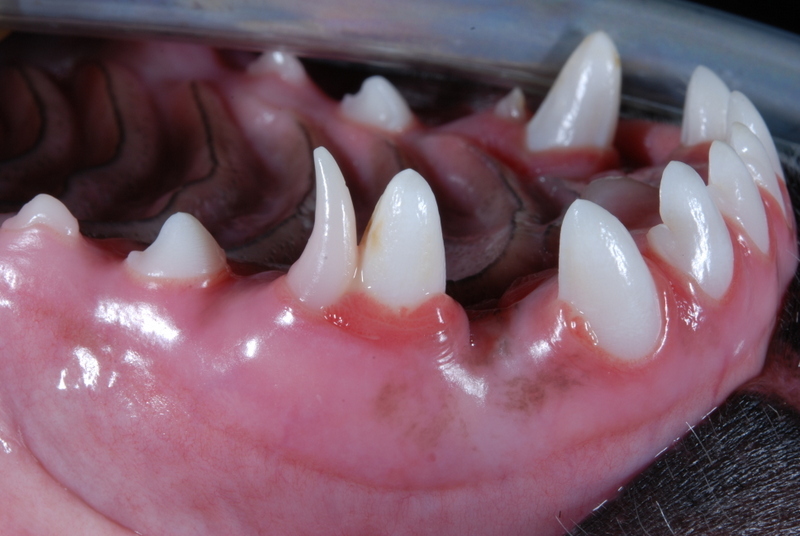 Persistent Deciduous Teeth- These teeth should be extracted as soon as the permanent tooth starts to erupt. 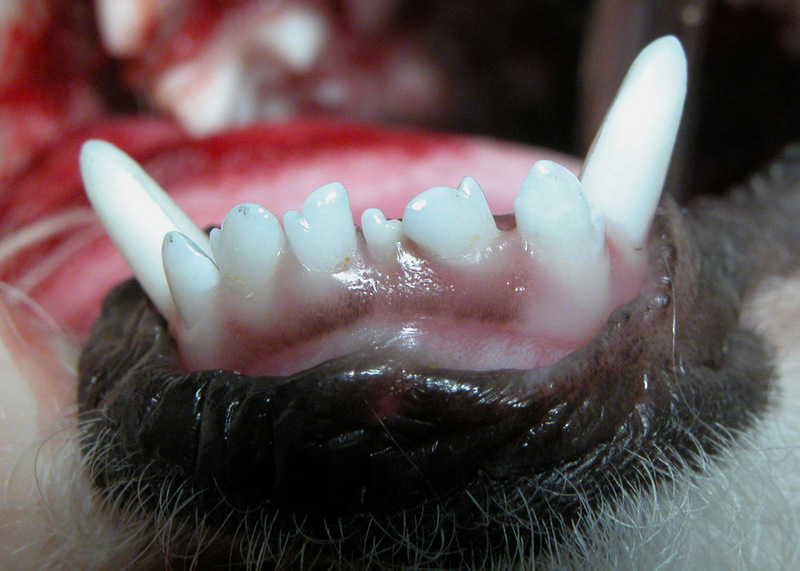 Fractured Deciduous Teeth- This is a painful condition that can affect the unerupted permanent tooth. Malocclusions- There are different types of malocclusions. Some can be painful and cause trauma to the gum tissues or other teeth. 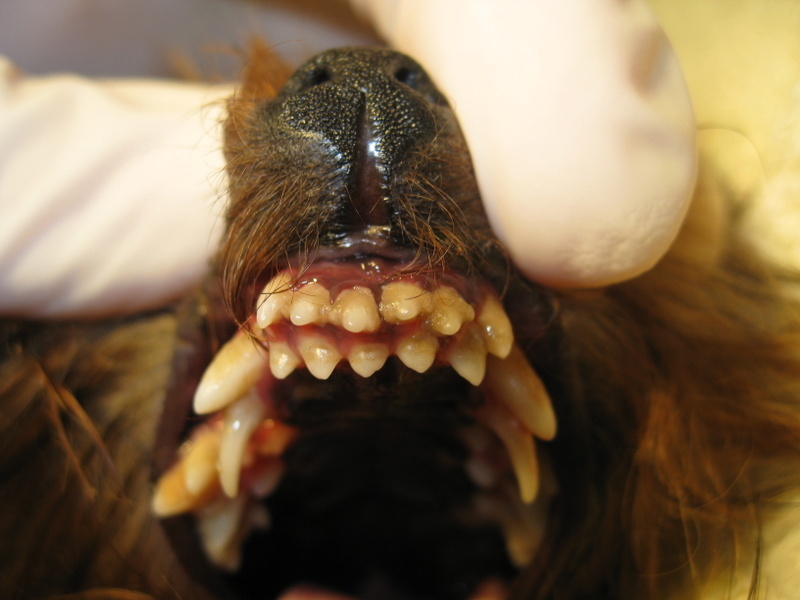 Missing Teeth- Teeth may be missing due to trauma, natural exfoliation, impaction, or genetics. 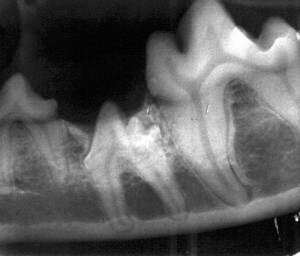 A dental radiograph should be taken to check below the gum line. 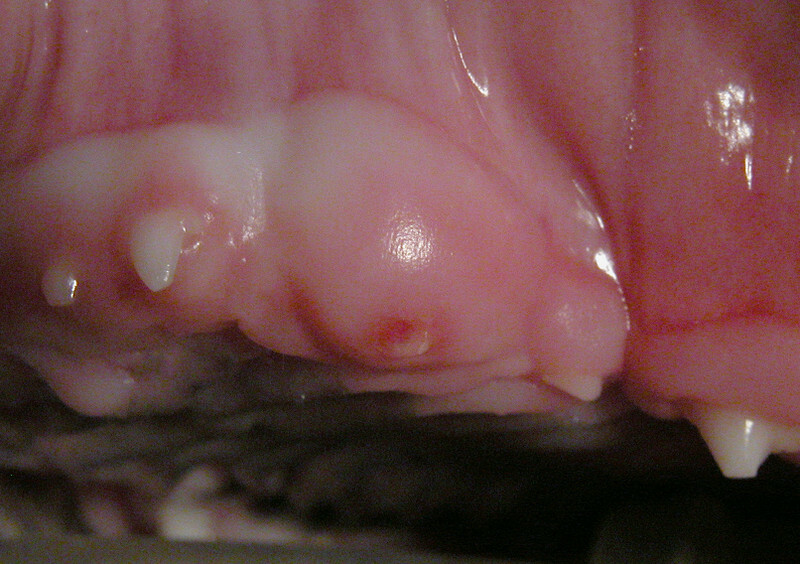 Enamel Hypoplasia- Trauma to an unerupted tooth or a severe systemic illness can affect the enamel on the tooth. The enamel becomes weakened and flakes off. This requires treatment to protect the pulp and reduce sensitivity. Oral Papillomatosis- This viral disease causes wart-like growths to occur in the mouth. 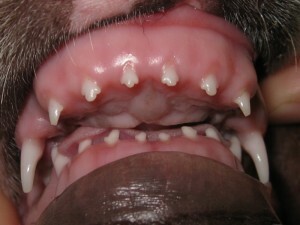 It is usually self-limiting, but may require treatment.